Sprinklr is a social media management platform made for enterprises and enables users to run social and marketing campaigns on multiple channels. Its Social Listening solution offers content automation, analytics, and reporting tools that help drive social engagement, social advertising, social care, and social advocacy efforts. In this article, we cover user reviews and pricing. Ready to try Sprinklr? Take their tour. Users who gave positive Sprinklr reviews like that it’s a comprehensive tool that handles all their social media management needs. Others appreciate that its customer support staff reply very fast. Users who gave negative Sprinklr reviews complained that the software is expensive. Some of them mentioned that it can be overwhelming to use because it has so many options and buttons. 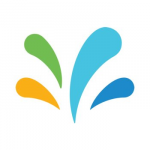 Sprinklr offers customized pricing and does not publish its rates on its website. We did some research from third party sources and found that Sprinklr’s pricing ranges from $60,000-$100,000 per year, depending mainly on the number of social media profiles integrated into the user’s platform. Ready to try Sprinklr? Take their tour. 10 Best Social Media Management Tools for Small Businesses 2018 — Social media management tools are designed to make it easier for users to manage conversations, schedule posts, and analyze results. In this guide, we listed the 10 best software based on their purpose, price, and unique value offered. What is Sprinklr’s Social Listening solution? Its Social Listening solution is a tool that enables users to tap into online discussions and obtain information that can be used to make better business decisions. Its search covers around three billion consumers across 350 million sources — which includes 26 social channels. Sprinklr has a module-based pricing system, and packages are assessed based on the users’ business needs. You may contact their sales team to obtain a customized quotation. Not sure if Sprinklr is the right fit for you? Read our reviews of all top social media management software providers or check out one of these three Sprinklr competitors. The platform is fairly easy to use and the reporting is very easy to use (and digestible). It’s easy to drag and drop the different widgets to visualize your data. The platform itself is pretty expensive and it seems that it’d be better to post natively (i.e. in Facebook, Google Ads for YouTube), versus in Sprinklr based off the different changes Facebook and Google constantly implement. In addition, for any sort of training, you’ll have to pay (even if you have an account manager). I wish I had known more about the integration between organic and paid social postings. When it comes to social media management, Sprinklr does it all. It’s one of the most comprehensive tools I’ve seen yet. While most social media management tools give you a single inbox for all your comments, likes, mentions, etc., they don’t usually go beyond providing you consolidation. Sprinklr includes four tools, or sections, to its Social Cloud, which includes publishing and engagement, social listening, display, and core platform. All these tools work seamlessly together, to make the job of social media manager much easier. Publishing and engagement is obvious: This is where you’ll be able to schedule and publish posts to a variety of social networks. Sprinklr supports the obvious, such as Twitter, Facebook, and Instagram, but it also adds more than two dozen others to the list, including YouTube, Pinterest, LinkedIn, Tumblr, and Foursquare (holy cats!). And you can do all this from one platform. Sprinklr includes macros that streamline your workflows without you having to connect various third-party apps or manually taking care of it. Just create a macro, assign it to a specific user, choose a status, and you can even connect another macro to that one, so it automatically performs all the tasks you create for it. The social listening section lets you mine your social network data (even from the past) to see how your social media presence is faring. See when your business is mentioned, who mentioned it, and topics that relate to your business. Plus, you can choose which keywords you want to track, and exclude the ones you don’t want. If you’ve ever done a Google search for, say, Charlie Brown, but you don’t want the Peanuts character to come up, you could add “football” as a keyword, or remove the comic strip name by typing -Peanuts — it’s a bit like that. These features are great, and that’s just scratching the surface of what Sprinklr can do. You can add assets, copy, and assign people to various tasks. The reporting features are as robust as the publishing, listening, and engagement features. It’s kind of like CRM and social media management rolled into one. Perhaps Sprinklr is too much program for a small business. A robust solution like this could be overwhelming. I found it easy to use, if I’m tackling one feature at a time. I could see it taking a while to learn how to do absolutely everything with each module. Speaking of modules, that’s how pricing works. You choose the modules you need and you’re quoted a price only for your business’ needs. With that said, Sprinklr is expensive. You could be spending tens of thousands of dollars or more per year on Sprinklr, which puts this in the for-enterprises-only category, in my opinion. It would be out of reach for most small business owners I know. I should’ve heeded the mention of “enterprise” sprinkled (ha!) all over Sprinklr’s website, but it wasn’t until I got to the Contact Us page that I realized it really means enterprise. Sprinklr is meant for companies with 5,000 or more employees that are raking in hundreds of millions of dollars. If you’ve experienced Sprinklr, you might be like me, hoping Sprinklr will create a similar package priced for the small- to medium-sized business crowd. Robust tool, advanced capabilities, solving business challenges. Customer service is slow, reporting is limited to specific formats. I wish I would’ve had a better understanding of each module they offer and why or when my company would need to use it. Sprinklr comes equipped with all the essential features for social media scheduling, community management, tracking, listening, and more. Assuming that you have a dedicated account representative, they are very quick to respond and hands-on with help. Logging in to Sprinklr can be very overwhelming because there are so many buttons and options. There is online help for the tool, but I found that it could still be confusing to learn some of the more advanced features without one on one help. I wish I had known that Sprinklr has advanced tracking capabilities to help make proving social ROI an easier process.